I have the coolest job! Over the last couple of weeks I've been out at sea on a research cruise in the northern Gulf of Mexico to study the fishes that live in the deep pelagic realm. 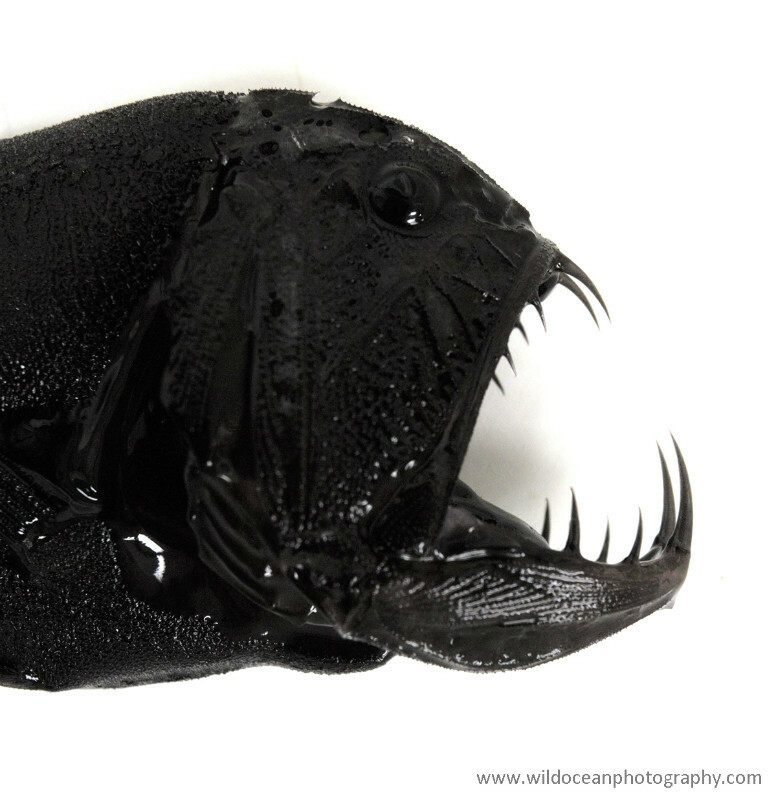 The pelagic ocean really includes everything above the seafloor and offshore from the coast, but my interest for now is in the animals that live far offshore, at depths down to 1500 m.
Hell, even the coolest alien in cinema was inspired by the deep oceans. This is Phronima in the home it carved from a salp, and it was the inspiration for the xenomorph in Alien movie. Every single fish that lives in the open ocean lives in an environment with no hard surfaces at all. 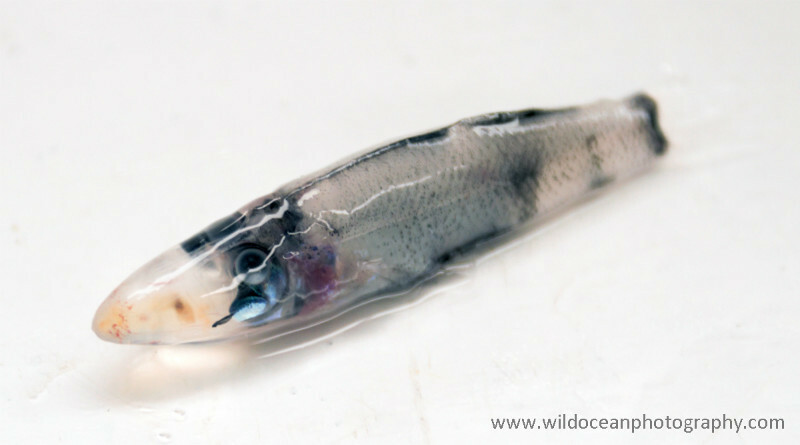 For their entire lives, a pelagic fish's experience of the environment is defined in gradients of temperature, light, food and water currents. They live surrounded by the bioluminescent flashes of other animals; they may eventually find a mate, or they may end up as a meal for one of the many fish-eating predators that lie in wait for them in the darkness. 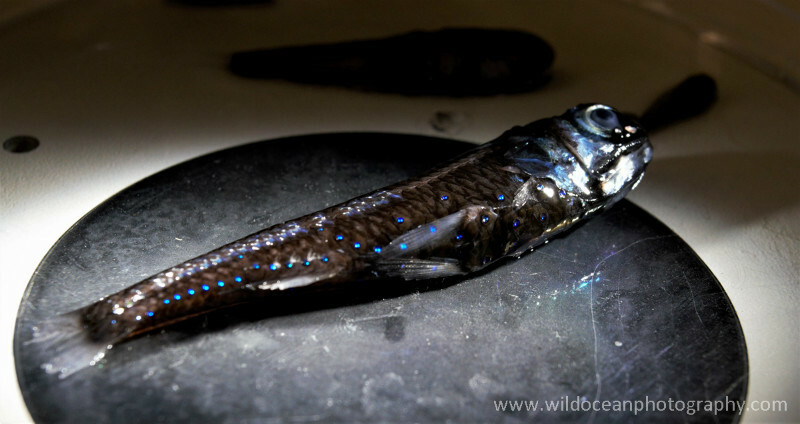 Many of the fish that live in the deep-pelagic ocean live short, but fascinating, lives. This is a fangtooth. How it got its name is truly one of the world's great mysteries. As cool and weird as these animals are, all the work we're doing out here has a serious purpose. Over the last decade or so, deep pelagic research has had a bit of a resurgence. While the deep-pelagic realm is probably one of the least understood anywhere on Earth, the more we learn about it, the more important it seems to be; and sometimes in surprising ways. For example, many deep-pelagic animals (like the lanternfishes for example) migrate to the surface waters every night to feed on microscopic animals (zooplankton), and in doing so, actually move huge quantities of carbon away from the surface ocean (where it could be released to the atmosphere again as carbon dioxide) and into the deep oceans (where it can be stored for up to 1000 years!). 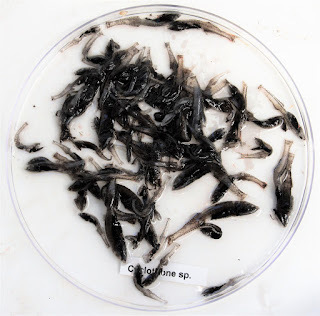 Since high levels of atmospheric carbon dioxide are one of the primary causes of our current global warming problem, it's easy to see how deep-pelagic fishes could be incredibly important animals for us to learn more about. Many lanternfishes have light-producing organs along their bodies. This fish was still glowing when we brought it on board! 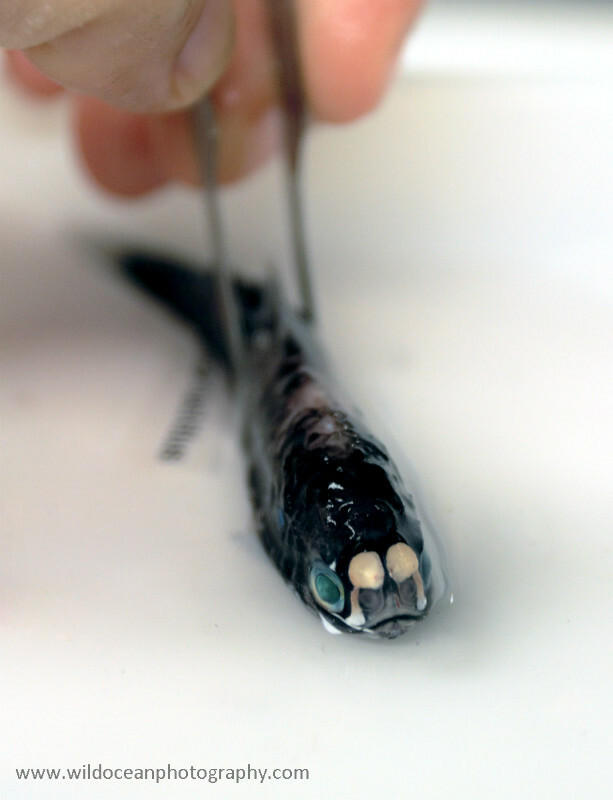 These strange-looking "bristlemouth" fishes (Cyclothone spp.) are the most abundant vertebrates on Earth. Of course, as with most of the deep sea, we have plenty of questions to ask and not a lot of data to answer them with. This makes the catches we're collecting through DEEPEND all the more valuable and gives us a huge opportunity to start digging into some cool and really fundamental questions (like "what even lives down there and how?" 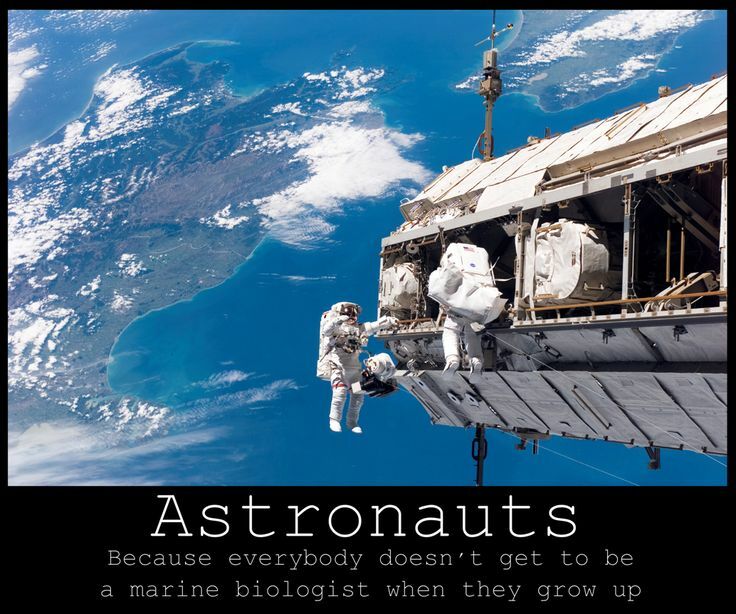 and "why do deep-sea fishes live where they do? "), as well as some really complex ones (like "how will future human activities affect how deep-sea ecosystems work?"). Trying to find sensible answers to these sorts of questions is what I do when I'm back in the office. For now though, I'll leave you with a few more photos of some of the stranger fish we caught! Barreleye fishes like this one have eyes that can see upwards and sideways at the same time! 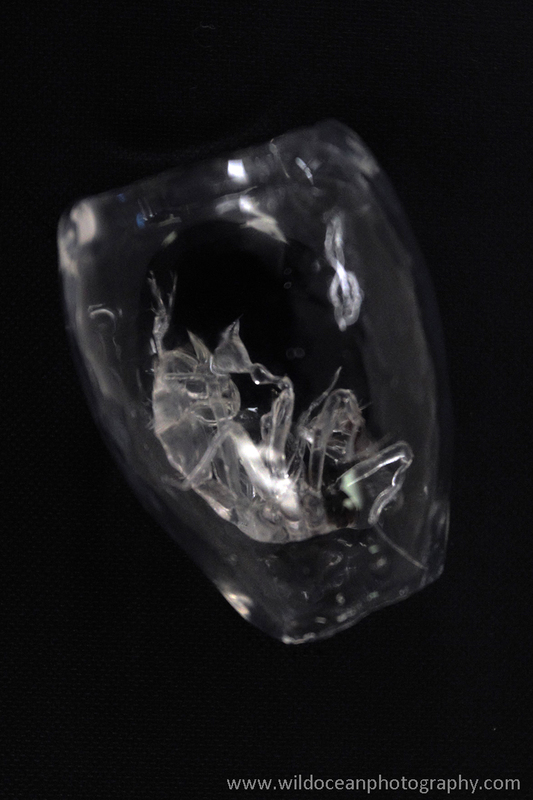 This is a glasshead barreleye (Rhynchohyalus natalensis). This is a "Tubeshoulder" fish (Platytroctes apus). These have little tubes on their shoulders that they can use to shoot bioluminescent fluid out of, presumably as a defense mechanism. 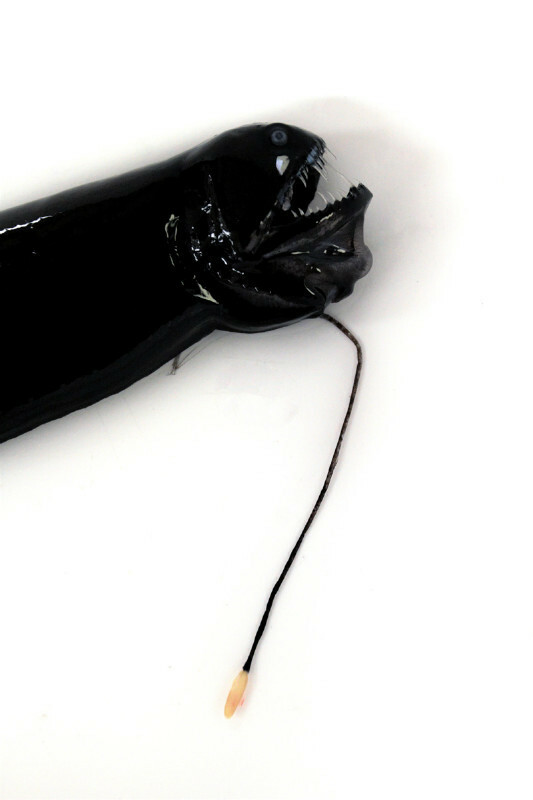 A predatory bristlemouth (Sigmops elongatus). They have light organs along their belly for camouflage and a rather impressive set of teeth to eat things with! Those of you who have been following my Facebook and Twitter will already have had a bit of a sneak preview of the other photos I took while I was out on the ship, but in case you haven't seen them, most of the photographs of the deep-sea animals are now also online on the website in the Deep Sea part of my "Specimen Photography" gallery.